A.J. is a graduate of the University of Western States where he received his Doctorate of Chiropractic and Masters of Science in Human Nutrition and Functional Medicine. He is a Certified Strength and Conditioning Specialist(CSCS) and achieved his B.A. in Health Management from Luther College. A life-long athlete, he loves finding new things to stay active. A collegiate wrestler at the NCAA DIII level he has since found activities such as biking, running, triathlons, resistance training, climbing and coaching to stay busy. He completed his first Ironman Triathlon in Madison, WI in 2008 and had his second finish in 2009. 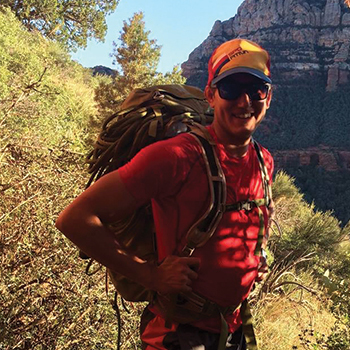 He moved to Flagstaff in July 2012 to enjoy the beauty of Arizona outdoors, weather, and community. A.J. uses an evidence-based, conservative, non-invasive, and holistic approach to helping people reach their health goals combining the best evidence from chiropractic, physical therapy, and nutrition. This approach looks beyond simply relieving your pain, but looks to conquer the underlying issues causing it. First, treatment is not only directed towards the injured, painful area but also related muscles and joints that might not be painful. Then, to prevent re-injury, any imbalances in your posture, muscle balance, and movement are addressed with corrective treatment, rehabilitative exercises and self-care techniques. Dr. AJ strives to help you resume your favorite activities as soon as possible!